Miletus, near the coast of western Turkey, was one of the most important cities in the ancient Greek world, but eventually declined due to the silting up of its harbors. St. Paul stopped at Miletus on his Third Missionary Journey, on his way back to Jerusalem. There are many well-preserved ruins to be seen at the site, including a Temple of Apollo, a Byzantine church, and an important inscription relating to Jews. Miletus was one of St. Paul's stops on his Third Missionary Journey. According to Acts 20:16-38, Paul was on his way back to Jerusalem, and in a hurry because he wanted to reach the holy city by the day of Pentecost. Coming from Troas, he bypassed Ephesus but paused at Miletus and called for the elders of Ephesus to come meet him there. His lengthy farewell speech to them included a quote of the otherwise unknown saying of Jesus, "It is more blessed to give than to receive." He said he would probably not see them again, for "the Holy Spirit testifies to me in every city that imprisonment and persecutions are waiting for me." The elders wept to hear this, they prayed and embraced, and then brought him to the ship where he sailed for Jerusalem. Paul's speech on this occasion is his only recorded sermon delivered exclusively to believers. Another visit to Miletus is suggested by 2 Timothy 4:20, which describes Paul leaving Trophimus in Miletus due to illness. In ancient times, Miletus was located on the coast at the mouth of the River Meander. Its four harbors and strategic location on the west coast of Asia Minor made it a major player in the commerce of the ancient world. It was also repeatedly captured by envious invaders. But eventually, Miletus met its fate not at the hands of foreign powers but the gentle Meander River, which silted up over the centuries. Miletus was first occupied in 1400 BC by Minoans from Crete, then Mycenaeans from the Peloponnese, then by refugees from Greece during the Dorian invasion. It prospered and grew wealthy from colonies on the Mediterranean, the Black Sea and even in Egypt. Miletus became the most important of the 12 cities of Ionia, and was one of the first cities in the ancient world to mint coins. It was mentioned by Homer in The Iliad (II.868). Miletus was destroyed (along with Didyma) by the Persians in 499 BC, and Ephesus surpassed Miletus as the the most important city in the region. But Miletus was rebuilt, and its streets were laid out according to the plan of Miletus native Hippodamus, inventor of the "Hippodamian grid." His plan was first applied in Piraeus and Rhodes, and later in the northern part of his native city. Other famous citizens of ancient Miletus included Thales, Anaximander and Anaximenes, all philosophers of nature and the universe; the historian and geographer Hekataios, who first used the word "history" in its modern sense; and Isidorus, one of the designers of the Hagia Sophia. About 499 BC the Milesians led the Ionian revolt that sparked the Greco-Persian Wars; Miletus was stormed and sacked by the Persians in 494. After the Greeks defeated the Persians in 479, Miletus joined the Athenian-dominated Delian League, but in 412 BC Miletus sided with Sparta against Athens. Miletus was weakened by internal divisions when Alexander the Great seized it in a great battle (c.334 BC), ushering in a new era of trade and prosperity. After Alexander's death, Miletus was ruled by his general Lysimachus, who made generous donations to the city. The Romans annexed the area in 133 BC and added several monumental structures to the city. The Emperor Trajan (2nd century AD) built the Sacred Way from Miletus to Didyma. According to the Jewish historian Josephus, the Romans intervened to guarantee freedom of religion to Jews in Miletus; an inscription that seems to relate to this has been found in the theater. In Hellenistic and Roman times, the people of Miletus made an annual pilgrimage along the Sacred Way that led from Miletus to the Temple of Apollo at Didyma, a distance of 12 miles (20 km). Miletus had a Christian bishop by the time of Decius, when St. Thyrsus and his companions were martyred at Miletus. Eusebius, Bishop of Miletus, attended the Council of Nicea in 325. After the 3rd century, Miletus began to decline. By the 6th century, the silting of the Meander River had destroyed the city's harbors and attracted malaria. By the Ottoman period, the once-proud city was just a small village. The site was finally abandoned in the 17th century. In 1899, excavations began by the Berlin Museum and have since been conducted mainly by German teams. Some artifacts, including the massive Market Gate, can be seen in the Pergamon Museum in Berlin. It is difficult to imagine that Miletus was once situated on a peninsula, with three harbors on the west and one on the east. Today, the harbors have silted up to such an extent that the ruins of Miletus are located in a broad plain 5 miles inland. A good place to start your tour of Miletus is from a ruined Byzantine castle on a hill behind the theater. This provides a good view of the widely scattered ruins and the original coastline around Miletus (which can only be seen from up here). The city walls were massive - more than 30 feet thick in places - but were stormed by Alexander the Great in his conquest of the city. In St. Paul's time, Miletus had two main harbors. The Theater Harbor was where the original Cretan inhabitants settled. The theater faced it, to the southwest, where the ticket office now stands. The Lion Harbor was guarded by two marble lions, one of which can still be seen. Below the Byzantine castle is a Hellenistic heroon, a monumental tomb to honor a local hero who was deified. On the west side of the vaulted tomb chamber are five small niches to hold the remains of family members. In the center of the tomb's floor is a rectangular hole for sacrifices. Miletus' theateris large, with a facade of 460 ft (140 m) and a present height of 100 ft (30 m) high. It was originally built in the 4th century BC, but modified and enlarged under Emperor Trajan in the 2nd century AD to seat 25,000 spectators. Also added in the Roman period was a third floor to the stage building, which was decorated with columns and hunting scenes with Eros. In the center of the first two rows, four columns designated a special box for the emperors. In the theater is an important inscription. On the fifth row of seats are the words (in Greek): "For the Jews and the God-fearers." This reinforces Josephus' report about tolerance for Jews at Miletus. It is also significant in indicating a sizeable Jewish community and one that participated in the theater, unthinkable among more conservative Palestinian Jews. Some experts believe the inscription is better translated "For the Jews [called] God-fearers," referring to non-Jews who joined the Jewish community but continued to attend the theater. Paths from the theater lead to the extensive Baths of Faustina, built on the orders of the wife of Marcus Aurelius in 164 AD. The large complex features charming water fountains in the shape of the river god Meander and a small lion, and niches in the "Hall of the Muses" that once held statues of Apollo, Asclepius, Telesphorus, the nine Muses and a head of Aphrodite. Near the Faustina Baths is the Harbor Gateway that separated the harbor and the city. Double rows of columns, 12 feet apart and with a flat roof, provided a dramatic entrance for those arriving in Miletus by ship. The gate led into the Sacred Way and stood beside the Delphinion. The Delphinion was the main temple in Miletus. A shrine to Apollo Delphinios (Apollo of the Dolphins), protector of ships and harbors, it was in use by Greek times if not before. It was a rectangular enclosure bordered by two-aisled stoas at the north, east and south. The round base in the center of the courtyard is thought to belong to a Roman-era heroon (temple of a hero). The Delphinion leads onto to the processional way to the Temple of Apollo at Didyma. North of the baths is the Byzantine Church of St. Michael, built in the 6th century AD on the site of a temple of Dionysus. Unlike most ancient churches, it is partially roofed over in modern red tiles. Northeast of the church is a circular plinth that was once part of the colossal Harbor Monument, dating from 63 BC. It stood 25 feet hight, was topped with a tripod and a cauldron above it, and decorated with reliefs of dolphins and tritons (half man, half fish). It was originally dedicated to Pompey in celebration of his victory over pirates in the area, but was subsequently rededicated to Augustus for his victory in the Battle of Actium (31 BC). Just beyond the northwest corner of the Harbor Monument are the badly-preserved remains of a synagogue from the Roman period. The New Testament doesn't mention that Paul made contact with a synagogue in Miletus, though he likely did so in accordance with his pattern. Nearby was the northern agora, constructed between 5th century BC and 3rd century AD. It was 500 feet long with 64 columns and 30 shops. To its north, around the silted-up Lion Harbor, are the ruins of Roman baths, built toward the end of the 1st century AD. This area is flooded at certain times of the year. On the east side of the northern agora is a reconstructed Ionic colonnade, from about 50 AD, beyond which are remains of a Hellenistic gymnasium and a nymphaeum from about 79 AD. Facing this from across the agora was the bouleuterion or city council chamber, with semi-circular seating for the councilors, dating from between 175 and 164 BC. The massive Market Gate, now reconstructed in the Berlin's Pergamon Museum, led from the northern agora to the southern agora (which is mostly buried). On the west side of this agora are the foundations of a huge Hellenistic granary (storage house). South of the granary is a fallen pediment from the Temple of Serapis Helios, built during the reign of Aurelius (270-75 AD). A statue of the Egyptian god Serapis with a crown of sunrays once stood at the north end of the building. Parallel to the bouleuterion and at right angles to the northern and southern agoras is a partially-excavated stadium that was built in the 2nd century BC and enlarged in the Roman period to seat 15,000 people. The track was 600 feet long with three water clocks at each end. Unlike the typical horseshoe shape of Roman stadiums, it featured monumental entrance gates at each end. The Sacred Way begins at the Harbor Gate and extended south for 300 feet to the square in front of the bouleterion. It was 90 feet wide, with sidewalks 18 feet wide on either side. It passed through the city walls at a Roman gate restored by Trajan, and continued out of the city for 12 miles (20 km) to Didyma. The inhabitants of Miletus traveled this route each year for a pilgrimage to the Temple of Apollo. South of Miletus, about 7 km from Didyma on the shore of ancient Cape Poseidon (modern Tekagaç), was a Poseidon Altar. A rectangular altar building with a staircase leading to the altar terrace, it was constructed in the first half of the sixth century BC and probably remained intact until an earthquake in the Byzantine period. Michael Counsell, Every Pilgrim's Guide to the Journeys of the Apostles, pp. 148-52. 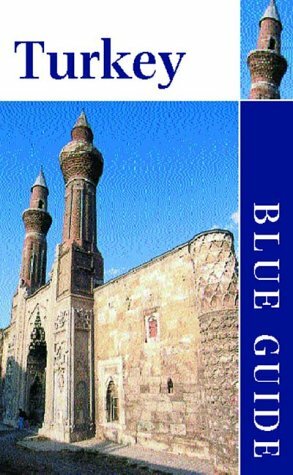 Clyde E. Fant and Mitchell G. Reddish, A Guide to Biblical Sites in Greece and Turkey, pp. 243-53. Encyclopædia Britannica Premium Service - "Miletus"
Below is a location map and aerial view of Miletus Archaeological Site. Using the buttons on the left (or the wheel on your mouse), you can zoom in for a closer look, or zoom out to get your bearings. To move around, click and drag the map with your mouse.